Dogs are just like children and they need your love and care. It is also the duty of the owners to ensure calm and happy social behavior in their dogs. There are many things you want your pet to learn and do. Teaching proper dog etiquette is not an easy task for any pet owner. But at times, to show their love to their furry friends, many pet owners end up doing more wrong than right. It is important to have patience and take baby steps in order to train your pet. There are several things pet owners unintentionally do that mess with their dogs’ emotions. Try to avoid mistakes from your end, as once your pet gets the wrong signal, retraining him toward the right path is very difficult. 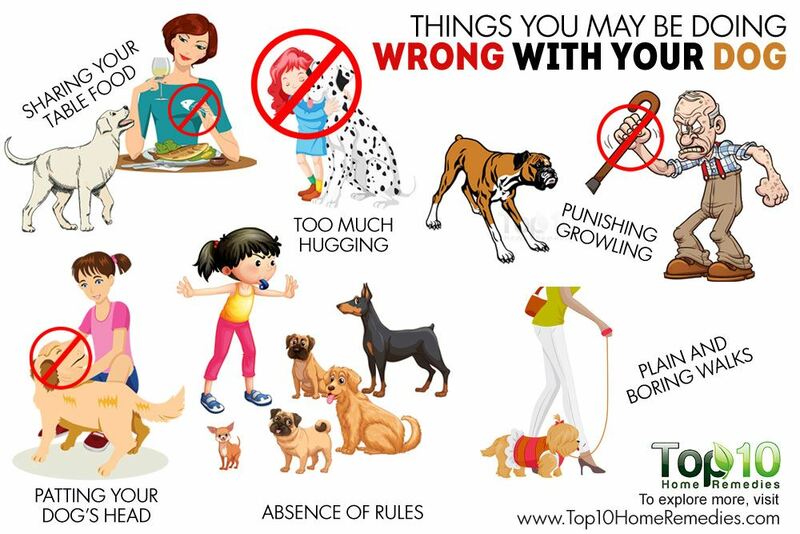 Here are 10 things you may be doing wrong with your dog. It is very common to find pet lovers communicating with their furry friend using words. This is another thing you are doing wrong with your pet. Dogs are not humans in little furry coats, and they do not communicate with words. In fact, dogs cannot understand the majority of things you are saying. 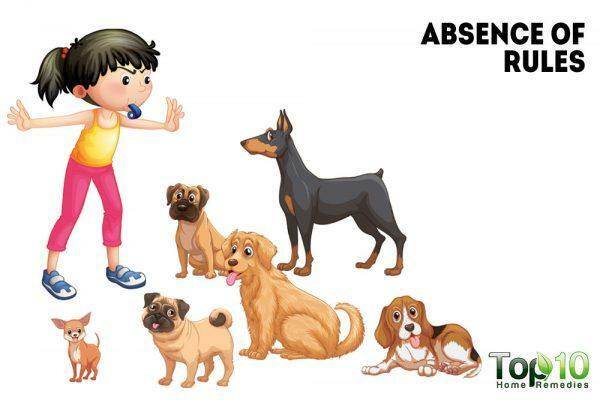 With training, they may be able to deduce what a few key words mean, such as walk, treat, eat, drink, down and so on. Their means of communication is primarily body language, olfactory signals and some verbal communication. 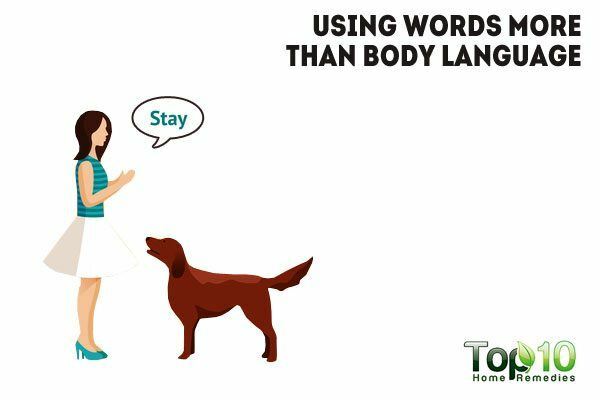 For communicating with your pet, use body language as much as possible. Dogs are expert readers of the human body and can easily figure out what you may be thinking and feeling before you even realize it. Make sure your body language matches what you are saying, otherwise, there will be confusion as well as miscommunication. It may take some practice on how to use your movements and body positions to get the response you want from your pet. It is true that hugging is one of the best ways of expressing love among humans, but hugging your dog is something you should avoid. Your furry friend simply does not like your arms wrapped tightly around his body, irrespective of your purely benevolent intentions. Dogs do not use hugging to bond or socialize, hence hugging is a foreign concept for them. At times, tightly wrapped arms around their body is interpreted as an attack. The next time you put your arms around your furry friend for a tight hug, pay close attention to your dog’s reaction. If your dog is tensed up, has his head out away from you or is keeping his mouth closed, take it as a sign that your dog is uncomfortable. Also, never forget that when hugging your pet, your face is very close to a set of sharp teeth. Often, pet lovers are moved by the sad eyes looking up at them from under the dining table while they are eating lunch or dinner. In fact, it is common to find people tossing table scraps to dogs. 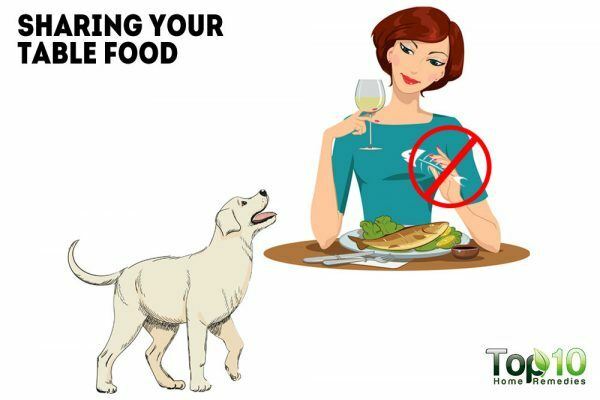 But sharing human food or table scraps with your dog is very harmful for your pet. While sharing food directly from your plate probably isn’t the best idea, there are lots of table scraps that are actually unsafe for your pet to eat. 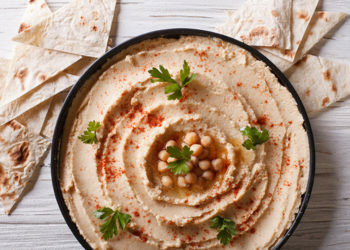 Some such foods include dairy products, grapes, raisins, onions, garlic, biscuits, chocolate and anything containing caffeine. In addition, your pet’s digestive system is different from a human’s, hence most human food is not suitable for them. Be strict and try to ignore the eyes peering at you from under the table. Train your pet to stay away from the kitchen or dining room while you are preparing your food and eating. You can even reward your dog for staying away from the table during mealtime. Just like humans do not like to be patted on the head, same goes for your four-legged furry friend. Being patted on the head is very annoying for your pet. You may have noticed that when you move your hand toward your dog’s face and head, the obvious reaction from your pet is pulling their head back and leaning away. Some dogs may even get a little tense about the invasion of personal space. Being a responsible pet owner, you must not do this. Also, teach your children to gently pet a dog’s back or rear instead of their head. Apply the same rule for guests, too. If you really want to reward your dog for being awesome, give a gentle rub on the chest, the shoulders and the base of the neck. 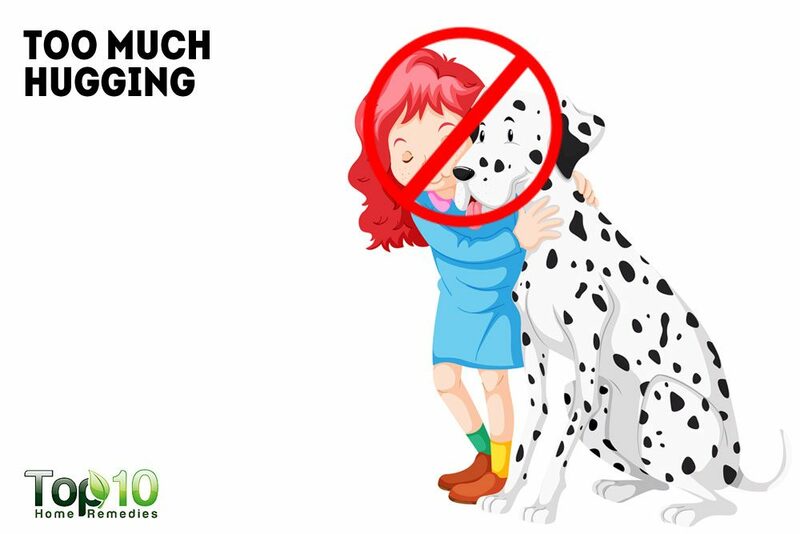 For rubbing or patting, always reach in from the side, rather than moving your hand over the top of your dog’s head. Growling is a means of communication for dogs. 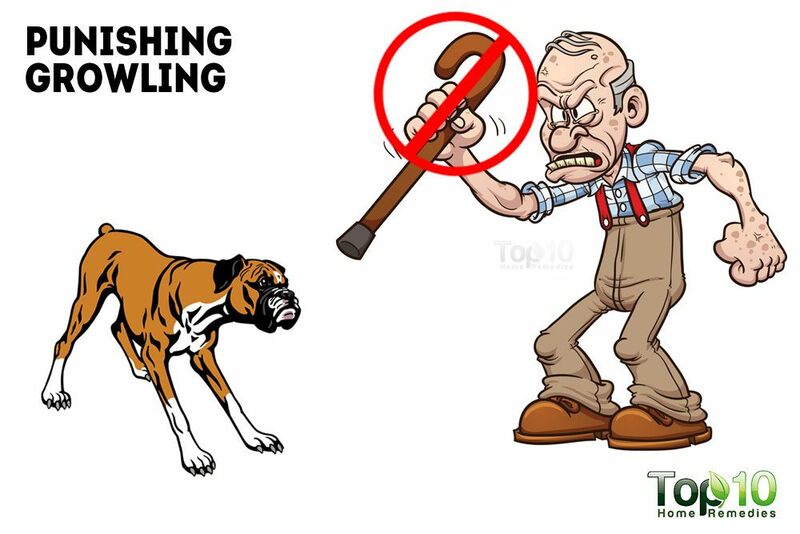 In fact, by growling, a dog is telling the owner that he is feeling threatened or scared. 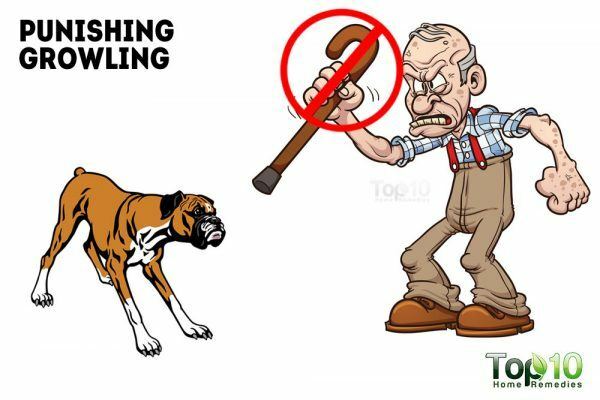 You should never punish a dog for growling. This can have an emotional effect on your dog’s mind. On other occasions, punishing growling can induce an uncomfortable dog to escalate into full-on aggression. If your dog is growling at something or someone, you should be grateful and appreciate it. A dog that doesn’t growl is a dog that bites without warning. When your dog growls, immediately remove him from the situation. Look around to find out the reason behind the growling and handle the situation accordingly. Yelling or shouting at your dog is not a good idea as unlike humans, dogs have not evolved as a vocal species. They are more expert at reading your body language. Yelling will get your dog more stressed or excited and won’t stop the wrong behavior. While you should not yell at or punish your dog for growling, also do not encourage your dog to growl during play. If you prefer being a coach potato, then it is better not to keep a dog. 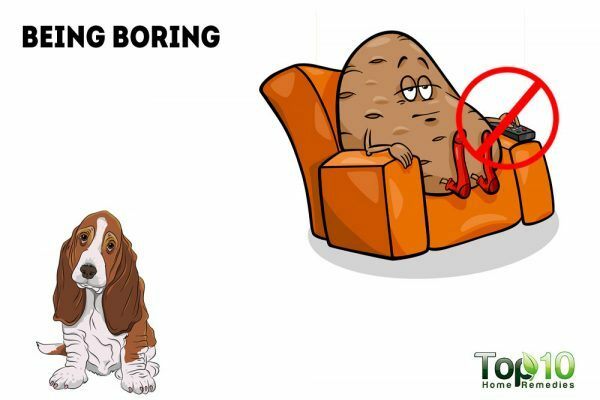 Most dogs do not enjoy sitting around the house all day. It is common to find that when dogs are left alone while you are at work all day or you do not have time to take them for a long walk, they start entertaining themselves by destroying shoes or exploring the garbage. No matter how busy you are, dogs need exercise as well as entertainment in their life. A short walk in the morning or evening in a nearby park will lift up the mood of your furry friend. This will even prevent obesity, one of the main health concerns among dogs. Also, teach your dog to play with balls or his own toys. Ask your children to play with your pet. Many dogs love being around playful kids and this makes them very happy. Not providing structure and rules for your dog is something all pet owners should avoid at any cost. Dogs actually need rules. Being a pet owner, you may think strict rules will make life boring or unhappy for your dog. But dogs really want to know and follow what their master wants them to do. Rules will make dogs polite, well-disciplined and prevent them from throwing temper tantrums when they don’t get what they want. At the same time, rules make life a lot more predictable, a lot less confusing and a lot less stressful for both the dog and its owner. Train your dog when he is a puppy, and be clear and consistent with your rules. Going for walks without an opportunity to explore and smell around is bad for your dog. Many pet owners prefer their dogs to walk obediently on a leash. However, this is not something that your dog prefers. Dogs love to explore their surroundings. Hence, give them some time to sniff and explore while walking obediently on a leash. Dogs have a strong smelling sense and they use it for interpreting the world around them, just as humans use their eyes. They may become tense upon not being able to take in their world for at least a few minutes a day. 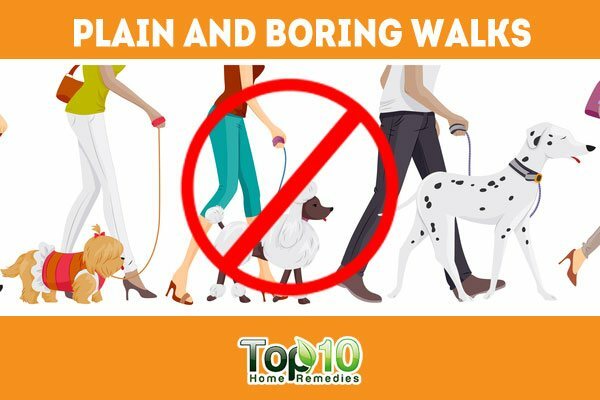 Do not take your dog for a walk for the sole purpose of exercise or potty breaks. Also, do not be in a hurry to get back home again. Instead, go somewhere entirely new to allow your dog to explore a different neighborhood or trail. Allow your furry friend to sniff at a spot for a few minutes before moving forward. These walks provide your dog mental and sensory stimulation that keep life interesting. Along with reading body language, dogs can also be experts at reading the tension levels of their masters, even through a leash. Never keep a tight leash on a dog, as it raises the level of stress, frustration and excitement for your dog as well as for you. Do not allow your dog to pull you during walks. Your pet must know that you are the master and he needs to follow your commands. Hence, it is important to teach a dog how to walk on a slack leash. This will help your dog know that everything is fine and there is nothing to be worried or tensed about. When the leash is loose, dogs remain calm and get the signal that everything is under control. 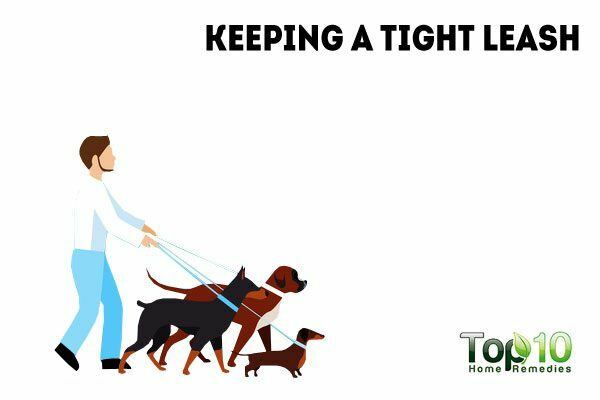 On the other hand, a tight leash sends a signal to your dog that you’re tense, nervous or on alert, hence the dog also starts behaving like that. Plus, a dog that walks on a tight leash is more apt to bark or be reactive, even during the most mild social situations. Forcing your dog to interact with other dogs or people is not a good idea. Just like humans, dogs have their own preference level. They may like some dogs or people more than others. In short, they have their own favorite friends as well as enemies. 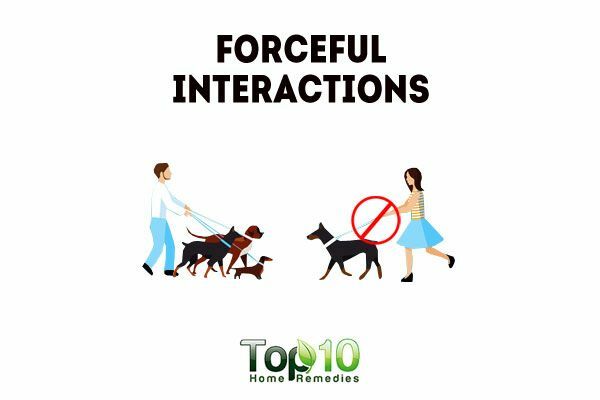 If your dog does not prefer to be around a particular person or pet, do not force it. Do not try to become an overly enthusiastic owner by pushing your furry friend into social situations at dog parks when your friend just wants to go home. Dogs have the habit of showing clear signs of wanting to be left alone. Read the body language your dog gives you when he doesn’t want to be around certain other individuals.